Wockhardt Ltd, the Mumbai-based firm which is hit by US FDA import alerts, has posted decline of 94% in its first quarter net profit at Rs 20 crore ($3.26 million), compared with Rs 323 crore a year earlier. Company's net sales also slumped 27% to Rs 991 crore from Rs 1,343 crore. The United States FDA had banned the import of generic drugs from two of the company's plants in India - Waluj and Chikalthana, citing quality lapses in the manufacturing process last year. The US FDA had also expressed concerns over production processes at its Chicago-based Morton Grove Pharmaceuticals unit, which accounts for more than 50% of Wockhardt's sales in the United States. 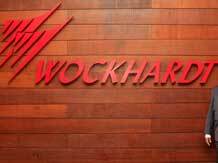 Wockhardt shares fell 6% intraday to Rs 667 on BSE. Shares were closed at Rs 678.7, down by 3.81%. In May, FDA imposed a ban on the company’s Waluj plant after inspectors found torn data records in a waste heap and urinals that emptied into an open drain in a bathroom six metres from the entrance to a sterile manufacturing area. In November, the FDA issued an important alert against Chikalthana plant. Last year, UK’s Medicines and Healthcare Products Regulatory Agency (MHRA) also issued a restricted license on Wockhardt's Waluj and Chikalthana plants.